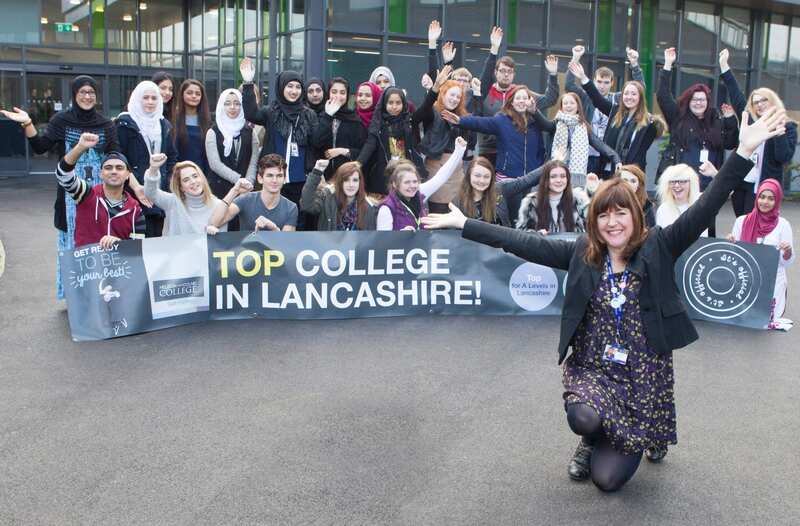 Nelson and Colne College are celebrating after being named as the top A Level provider in Lancashire for the progress students make. New statistics, from the Department for Education’s School and College Performance Table, have also revealed the Barrowford-based college to be the best provider of A Level and vocational qualifications in the local area, as well as the sixth highest performing college in the whole country for A Level value added scores. Value added scores look at the results a student joins with and compares them to the results they leave with – meaning students at NCC are regularly achieving higher than their predicted grades. Principal of NCC Amanda Melton said: “Once again we have been left absolutely delighted with the latest Department for Education figures, which have revealed how our students are regularly exceeding their potential by coming to NCC. “In our latest set of A Level and vocational results we were thrilled to celebrate a 100% pass rate, and see students progress to some of the top universities in the country, including the University of Warwick, the University of York and Newcastle University. This year looks set to be just as exciting, with our students currently securing conditional offers for a range of universities, including Oxford and Cambridge, and those in the Russell Group, as well as preparing for an apprenticeship or a job. Success stories from Nelson and Colne College include A Level student Hashaam Khan, who achieved A* A* A* in Maths, Physics and Chemistry and is now reading Maths and Physics at the University of Manchester, and mirror image twins Bethany and Courteney Cowgill, who arrived at NCC with no qualifications, but both left with distinctions in their BTEC Level 3 Extended Diploma in Sport. For more information about studying at Nelson and Colne College contact 01282 440217.